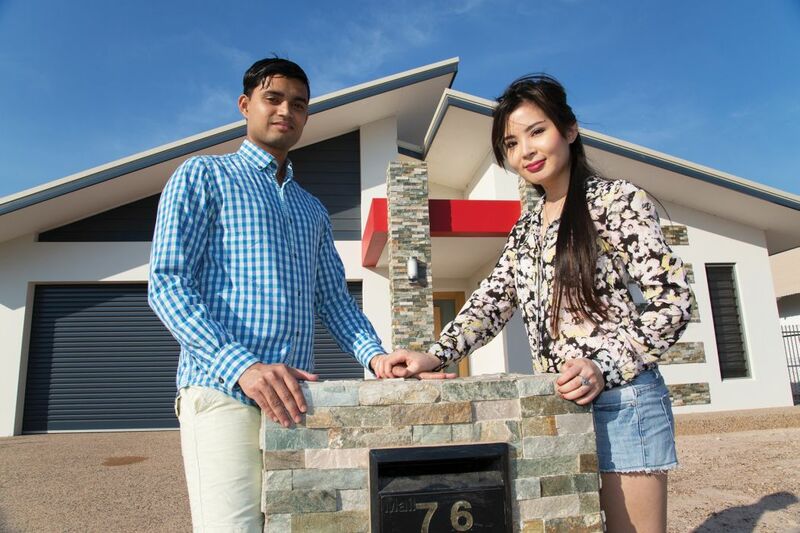 As a young couple wanting to own their own home, Florida and Adesh didn’t enjoy watching house prices in Darwin continue to rise, so in 2013 they took advantage of the First Home Owner Grant (FHOG), purchased land at Breezes Muirhead and built the home they now live in. Florida moved to Darwin from Indonesia in 2007 to study at Charles Darwin University. She now works as an Accountant in Parap and loves living in the Top End. “When we decided that it was time to stop renting and build our own home I knew that I wanted to live in Darwin’s northern suburbs close to Casuarina, Royal Darwin Hospital and all of Darwin’s attractions,” said Florida. While they were deciding which home to build, Florida and Adesh often drove around Breezes Muirhead comparing completed homes from different builders. “We would knock on the front door of a home we liked and ask if we could have a look around inside. Everyone said yes! People were very happy to show us around and give helpful advice,” she said. “Breezes Muirhead Sales Manager, Kevin Williams was also very helpful. He helped us to choose our land,” she said. The couple built a four bedroom, two bathroom home with a double garage from About Homes, a short walk from three parks. “We’re so happy with our purchase at Breezes Muirhead that we bought another lot,” said Florida. Florida and Adesh are building a duplex on their second lot as an investment property. “Breezes Muirhead is a beautiful community. It feels very safe and it’s a friendly place to live. People smile at each other and say hello. That’s nice,” said Florida.